Our little Jo is 5 months today! So much has happened since September 2nd when she changed our world. It's been a beautiful journey with lots of little ups and downs. From hip dysplasia to screaming witching hours to not taking the bottle, to teething (yes, already!). I look back with a warm gaze and feel very grateful. Below, is an article I wrote for TimeOut Kids, while Josefin was around 6 weeks old. It's was an unsettled time - not so easy. Reading it back now, I realize everything, every difficulties are just a phase to go through. And it does get better… Here's my two words on being a new mum second time around. I am a new mom second time around! 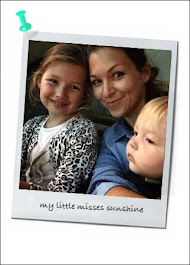 Five years since my last pregnancy, I am rediscovering the joy and surprises of motherhood. Being a new mama is a bit like being on a roller coaster. I easily hit some highs and a few lows everyday. I had forgotten about the constant mix of emotions from exhilarating pleasure to nail-biting frustration. But in the lowest moments you can always find sweet coos and little goodness to cheer you up. ♥ Little Josefin is the boss of me, when she wants something, she's gonna scream to get it, until all reddish in the face. And to make it more stressful, as we don't speak the same language, I am always trying to figure out what she's asking for. Usually, it's food! ♥ I am happy to be able to feed my baby the way nature intended but wow it takes up a lot of my day (and night). For a small person with apparently a little stomach she sure spend a lot of time eating. ♥ The new concept of time. It is always an issue… Time for myself has become a luxury. I have learnt to shower, wash and dry your hair, and get dressed in less than ten minutes. I say, it's a skill! Then you have frustration time when stuck in traffic to get home to your child or stuck in the car with a screaming baby. Schedule, another form of time dependency - I find myself always checking the clock in order to establish some kind of feeding and sleeping routine. Time is precious though, every moments count and should be remembered because in a blink of an eye, she will be 1 year old. Babies grow so fast. ♥ Sleep is another luxury, a far away concept that we'll eventually come back to you. Sleep deprivation can turn you into another kind of person - not a nice one! ♥ The guilty feeling creeps in. Suddenly, I am blaming myself for baby not sleeping well or her upset tummy. Did I drink coffee, ate something wrong? Did I keep her up too long? Am I spending enough time with Luella. The mommy guilt and the pressure to get 'things right' is another symptom of the new mom syndrome. ♥ I miss my wardrobe! Happy to be out of the maternity look, then eager to wear my jeans, high heels and fitted dresses… I am now stuck into the breastfeeding style challenge. The truth is all the lows of a new mother are worth the blessing that come with motherhood. Just like with Luella our first daughter, I love the morning smiles and coos which make me forget about the long tiring nights. I am more relaxed this time around because I have done it once and somehow you just go with the flow. I even get used to how hubby, Luella, the dog or the doorbell "accidentally" wakes her up. I know how to count my blessing everyday, and enjoy seeing them grow and become little persons. I love being a member of the Mommy club. It's the best job in the world to me. Even if it's a 24/7/365 live-in job that required you to deal with poop and more… with no overtime, paid holiday or bonuses. It's actually a privilege to be in this "business"!